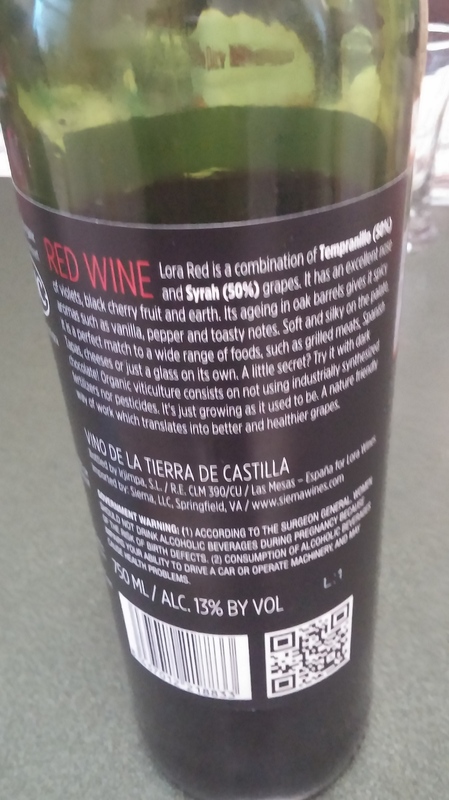 As we celebrate Earth Day, I wanted to review a couple of wines that I ordinarily wouldn’t try. These will be of the organic and all natural variety. Drinking, eating, and living organically and/or healthy is something we should strive for all the time. But for the sake of the today, I am proud to expound upon these two selections. And I wish I had tried them sooner. I am not vegetarian, vegan, or have a gluten allergy. But I can appreciate products that support peoples lifestyle decisions. And I enjoy trying anything that tastes good and promotes wellness and feeling great. I would like to give a massive thank you to Friendship WIne & Liquor for all their help and suggestions. 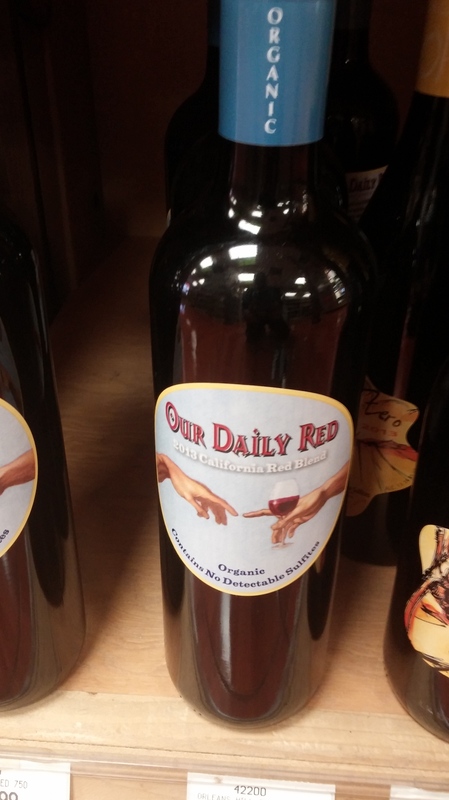 First and holy moly, certainly not least, is Our Daily Red from Novato, CA. And I mean this with all sincerity. This is one of the best wines I’ve had in some time. It tastes so good. It’s a wine you can have at anytime and with anything. 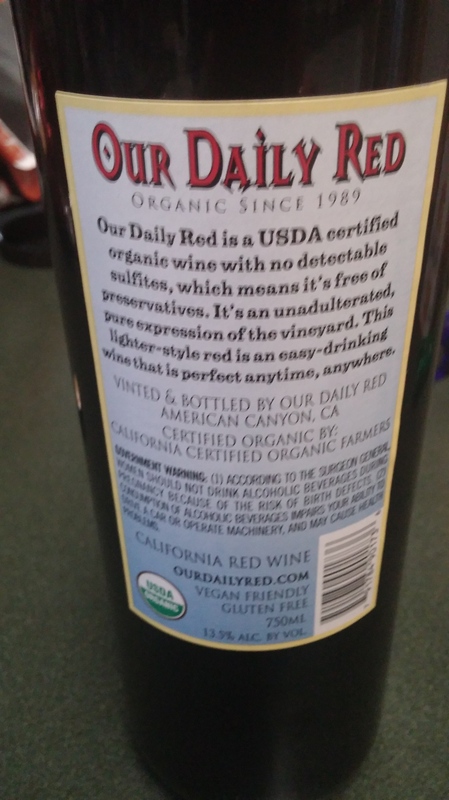 If I did a blind taste test, I wouldn’t know this was free from Sulfites, Vegan Friendly, USDA Organic, or anything else. But if all this led to this wine tasting out of this world, then I’m all for it. And at $11.99 this was a steal. For the past year or so, I would see that charming label and think nothing of it. I’m a bit annoyed it took this long to pour a glass but better late than never. If I hadn’t researched what it contained, I wouldn’t have known it contained Cabernet Sauvignon or Syrah. It tasted so light I’d have thought it was a Pinot Noir or even Beaujolais. But my palate has changed over time. With a bottle like this, there is no need for pretension. The back label keeps the information to what is important. This is a wine to be enjoyed and not over analyzed. It takes me to a higher place. Now a new grape has been introduced to me. I had never heard of Carignan until now. If this gem from France had a hand in this bottle tasting so good, then I’ll be on the look out for it in future purchases. It’s mentioned that blackberry and black cherry flavors are prevalent and after sipping, some of that can easily be detected. I did sense a little toastiness but had no idea there’s some vanilla in there. What a fantastic combination of flavors. This can be had alone or with any food your heart desires. 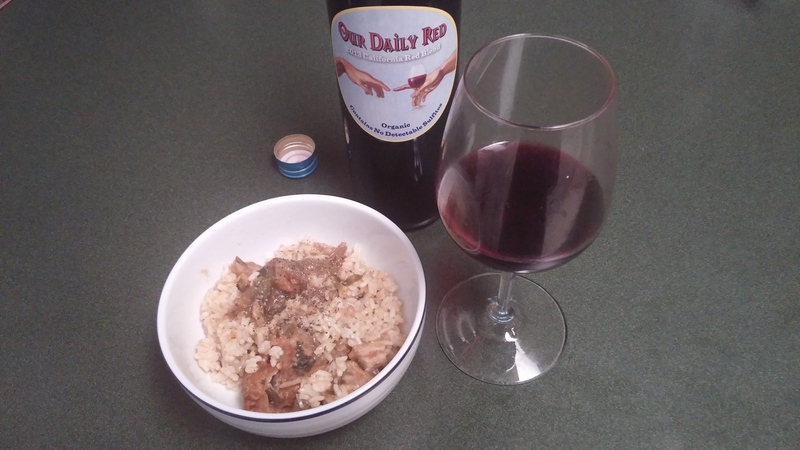 I went in a different direction and paired it with a nice Korean Pork Shoulder BBQ and organic brown rice. Pure class all around. I can’t get enough of how approachable their website is. I am grateful to have attracted this wine into my life. Since it’s Earth Day, I need to return the favor to the universe. 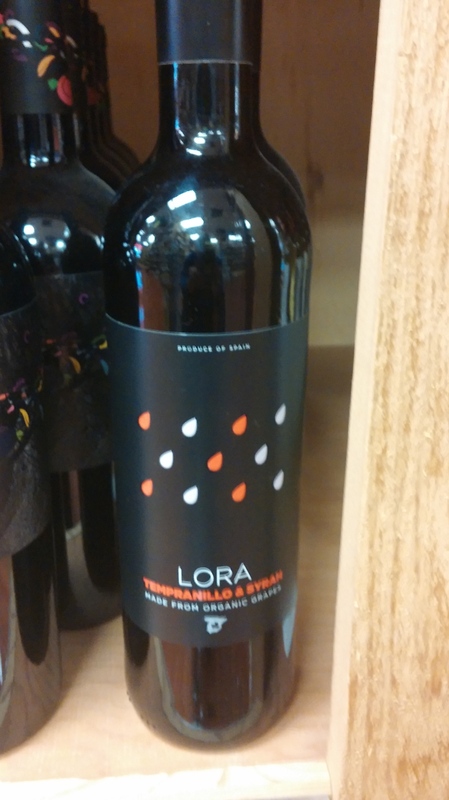 Not to be outdone is Lora Wines from Spain. I wanted to try another one since this day is so special and worthy of at least another organic gem. Their story of organic producing is just as inspiring. I know this is a movement that has been going on for years. And I fully support it. The Tempranillo & Syrah was the bottle of choice. At first it tasted really strange. I don’t know how to describe it. It wasn’t bad. It just felt unique. This is to be expected when trying something new. But after letting it breath for 15-20 minutes, it settled into something great. And best of all, my favorite, the oak came through in a big way. I could detect some pepper, which is one of my favorite elements in wine. As for everything else, it’s all interpretation and what your palate may tell you. This wine was a grower. No pun intended. Once again, this wine can be had on its own or with a variety of dishes. 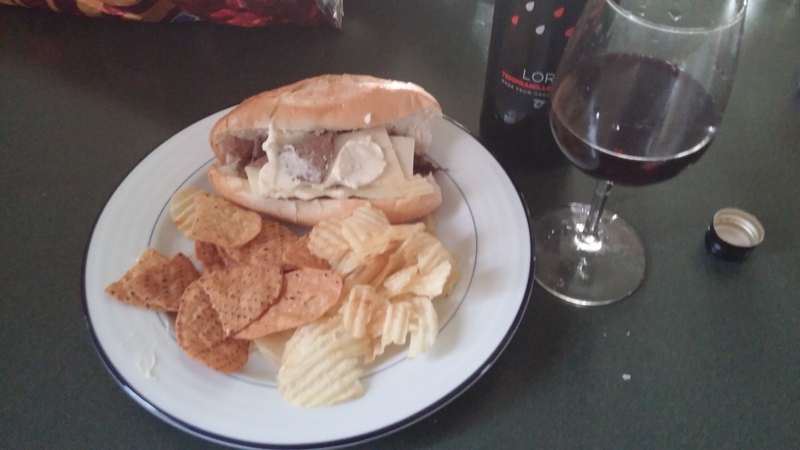 This was enjoyed with a nice grilled Cheese steak sub and a side of sweet potato and regular potato chips. Yum! And again, at $11.99, I was happy to pay that price. It’s been a pleasure learning more about Earth Day and how some wineries are really going above and beyond to provide a healthier and affordable alternative to many of the wines we drink on a daily basis. This is not to be taken for granted. I look forward to drinking more organic Gems. And hopefully this will lead to a change in other lifestyle choices. These winemakers are to be commended for their gifts to us. It make me want to improve many of my eating and drinking habits. And of course, for today and everyday, do something to better our planet. So for that I say, thank you. Wines usually upset my stomach after one glass [especially the reds], what would you suggest?